Cooking Utensils and tools are great fun! The information on this page is provided as a convenient way for you to identify your needs (and wants) and a resource to find the best quality cooking tools at the best prices. The cooking tools you use can make a BIG difference in cooking efficiency, cleanliness and safety. They can also help protect your cookware from being damaged as well. Critically important are your knives. You can purchase a set of knives like I did or you can purchase knives individually. Three knives are essential and each one is listed in a link below. You can then supplement those three knives if you find a need or desire to do so. Click on each of the recommended items to read details about that specific cooking tool and its uses. 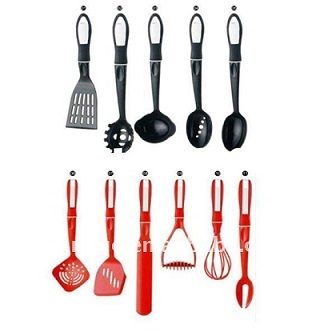 Please take the time to read all the information about cooking tools. I believe you'll find it all very helpful.